Meet my new friend, Raffy, the friendly giraffe. I have met his family 43 years ago. I was 24 years old then at that time. And recently I have found him in the rolls of free photos from unsplash. I virtually adapted him and name him, Raffy. He is my new avatar in Tuetego. How I wish I could see and feed a giraffe again. The first time I saw it was sometime in 1975 when I visited the Manila Zoo during my vacant time for I was undergoing a training in the Central Bank of the Philippines as a newly hired bank employee in our local bank. The Central Bank of the Philippines 18-story building is just across the Manila Zoo in the Harrison Street, Metro Manila. That is why it is easy for me to visit it during my free time. The entrance fee to the Manila Zoo is minimal. It was a very rare occasion that I personally see the long-neck and long-legged animal with spotted body. I saw other visitors feeding the said animal. 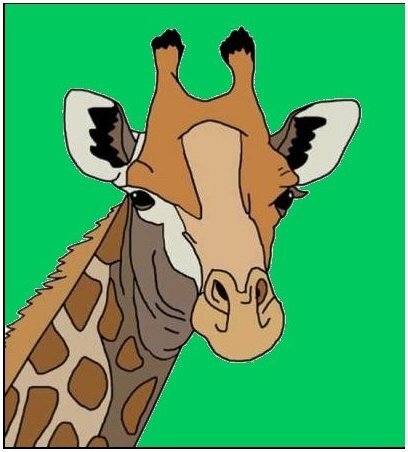 I took a small branch with many leaves and pointed it to the mouth of giraffe. It started munching it. I had also a picture with it but I lost it. I couldn't find it. Imagine how it is. I wonder why this ruminant animal has long neck and legs. I have observed that the place where these animals usually live or their habitat has many tallest trees. Thus, when they feed themselves they reach for those leaves of the trees. I have learned that they live in Africa. They are the tallest animals with even-toed ungulate mammals. I have no idea at present if Manila Zoo is still existed and maintained. Have you seen a giraffe personally? When was that?